You may have noticed a slight break in the flow of posts lately, but they will be resuming very shortly. Thanks for your patience, and remember--if you have any suggestions, please email me or leave a comment. Last Friday was one of those idyllic spring days in Charlottesville where I looked around me and couldn’t help but feel immensely sorry for anyone who has never picnicked on the Lawn. The sun was shining, the grass was especially soft (perfect for napping), and the Corner was crawling with students eager to enjoy the beautiful weather. It was an ideal setting to celebrate the historic inauguration of the University’s eighth president, Teresa Sullivan. On this day, I was honored to serve as a University Host. My job was to greet visiting academics who were marching in the procession down the Lawn prior to the ceremony. I loved seeing so many smiling faces and meeting delegates from schools and academic societies around the world. It was an amazing gathering of students, alumni, parents, and friends of the University. I certainly felt proud to be a Wahoo! After greeting, I had time to dash to Bodo’s Bagels, a popular spot on the Corner, and make it back to the Lawn, lunch in hand, just in time for the start of the festivities. I really can’t think of anything happier than a picnic on the Lawn while participating in a historic milestone for UVA. However, the ceremony was just one of the events to celebrate President Sullivan and our community. The week was built around honoring the school’s mission of teaching, research, public service, and health care. An Interfaith Observance, Academic Symposium, Research Exhibit, Day of Service, and Inaugural Walk were all scheduled to mark the occasion. Needless to say, it was a busy, exciting week for UVA! Watch the ceremony here! Even if you don’t watch the entire video, make sure you at least click on the link to see how beautiful the Lawn and Rotunda look. Perfection! "Don't forget about where you came from..."
"Gotta go, I have dance practice!" I told my dad over the phone as I rushed into one of the Multipurpose Rooms in the AFC (Aquatic Fitness Center). I could sense the surprise in his tone, "For what? ", he asked. "I'm performing for India Day," I answered. The University of Virginia has a wide array of student organizations as you probably are well aware of - and quite a handful have already been covered by my fellow bloggers from service, to sports, from Greek life to a capella. One of the organizations I am part of is the Indian Student Association, a very large cultural student group.Quite honestly, in high school, I wasn't really aware of how important the Indian culture is to some. I sort of brushed it off to the side and once in a while, I would be involved in performances. I was too busy with school, extracurriculars, volunteering, and other activities. My parents didn't really force me into anything although they encouraged it. One of the student meetings I attended my first year was the ISA meeting (which included a free dinner). I instantly clicked with a few people and from then on have been involved in the organization. Yearlong, ISA holds various events - some are for service like Gandhi Day where members engage in many service projects around the Charlottesville community and more social ones such as Curry Cook-Off(where different organizations have a cooking competition) and themed parties. All of these events are open to the University student body and many many attendees participate! If like me, you wanted to learn more about your culture and stay in touch with your ethnicity and roots, there are an endless number of outlets that you can immerse yourself in! Growing up, I'm sure that everyone has been fascinated by the night sky. Stars, constellations, universes... there is so much out there that we don't know about. 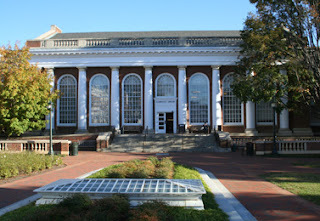 I wouldn't say that I'm interested in pursuing a career or anything in astronomy, but one of the most impressive departments at UVa, in my opinion, is the Astronomy department. *These two classes are the foundation classes of astronomy! *This class teaches you the history of observational techniques and using them in general. *Astronomy is really a lot of physics... the science side of things. Personally, I have only taken ASTR 1230 and it is a great class. Although having to clear your whole schedule for nights that you might be able to observe on, it is a lab based class where you do a lot of hands-on observing outside of the once-a-week lecture. 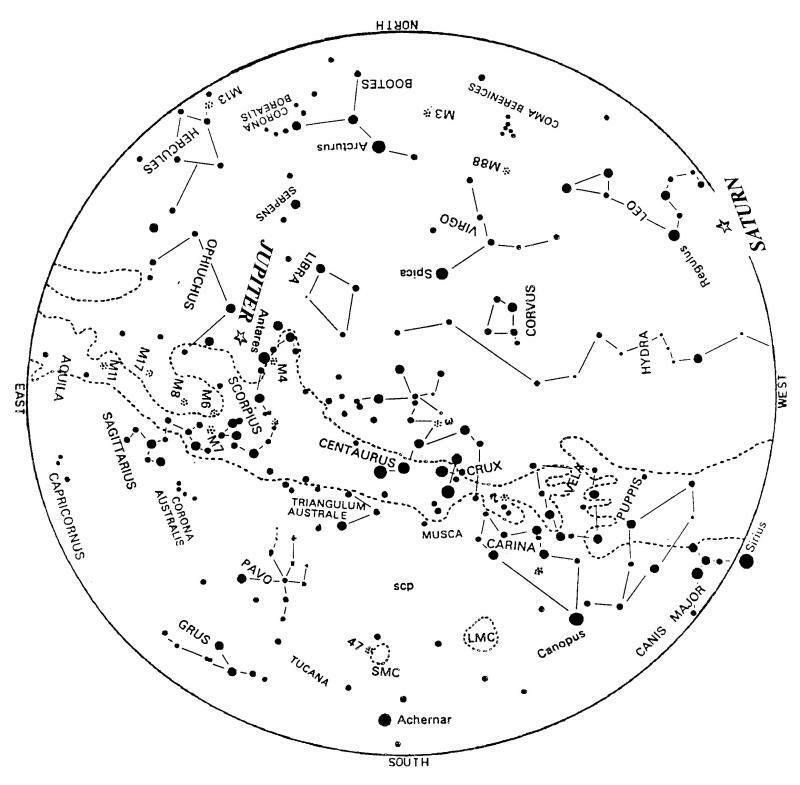 So whether you just love star gazing or have genuine interests in perusing some sort of field of astronomy, it is really worth check out these classes and going to the observatory. Days on the Lawn are here! 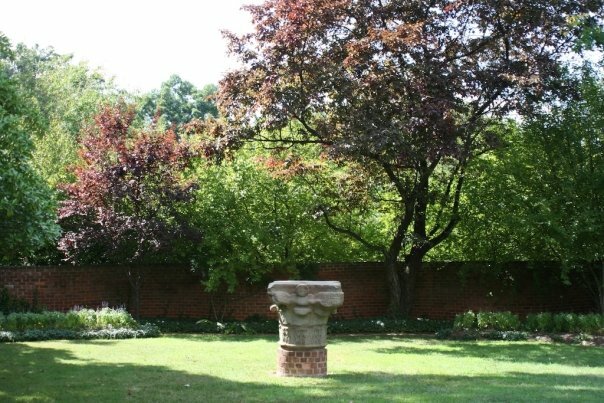 But Days on the Lawn is not your typical college visit. 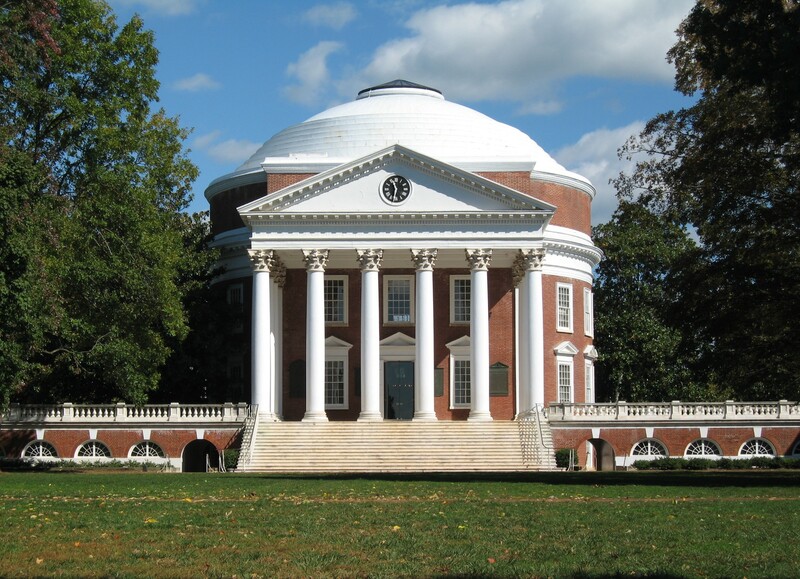 UVA students, faculty, and administration plan tons of different engaging activities to help paint a better picture of what your time here would be like, should you choose to be a Hoo! What kind of activities am I talking about, you ask? Everything from sitting in on college classes (tons of choices here!) to grabbing lunch on the Corner or at a dining hall with a current student (answering your question: what will the food be like?!). You can also visit dorms to see what they look like inside and there's a resource fair full of information if that interests you. There's also info sessions about your school (including sessions about schools you'd transfer to later: Commerce, Education, Batten) and the opportunity to meet professors. What do I think are the best parts of DOTL? Lots and lots of opportunities to interact with students to answer any and all of your questions and also share with you their UVa experience. Additionally, there isn't a set schedule of activities that you must attend. In fact, your schedule is completely up to you. DOTL is set up to be flexible and fit as best possible to your interests for the day. Want to skip sitting in on a class and just roam around and take it all in? Great. Want to spend your time talking with current and possible incoming students? Go for it! It's really up to you. Exercise has always been an important part of my life. 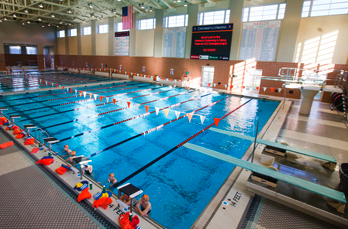 I swam competitively before coming to UVa, spending my mornings and afternoons logging yards at the pool. Since then, I've become a distance runner, pursuing my passion in a number of full and half-marathons. This year, I started teaching a cycling class at the UVA Aquatic and Fitness Center. UVa and Charlottesville have thoroughly satisfied my interest in exercise and healthy living. More than that, however, they have inspired me to become more active, "turning me on" to a variety of new activities. If you like exercise, then you're looking at the right school. If you don't, that's fine too. For your well-being, I encourage you to get "out there" and do something, but if you come to UVa, I doubt you'll need much prodding. I will not do the town's athletic opportunities justice in this post; it'd be hard to. I'll do my best by categorizing some of the activities that I've enjoyed in my three years here. Ragged Mountain Running Shop is the first store that comes to mind when I think of running. They are located on the historic Corner and are known for their knowledge and friendliness. I've been impressed by the amount of time they take to analyze runners' gaits, a necessary activity in order to prescribe the right shoe. Charlottesville Running Company is located on the Downtown Mall and offers an incredible variety of running gear. They're a great alternative to Ragged Mountain. Each running store organizes a variety of different training groups for people pursuing specific goals (e.g., half-marathon, full marathon, etc.). I know firsthand that Ragged Mountain offers Wednesday morning speed training, in conjunction with the Charlottesville track club, for runners interested in picking up their pace. Charlottesville is notorious for its diversity of races. It's most popular races are in the spring: the Charlottesville 10 Miler and the Charlottesville 8K/Half/Full, sponsored by the two running stores. The fall boasts an awesome 10K and a number of 5Ks. Charlottesville is lucky to have some of the best running trails in the State. The Rivanna trails offer mile upon mile of scenic terrain. If trail-running isn't your thing, Charlottesville's rolling roads are runner friendly. 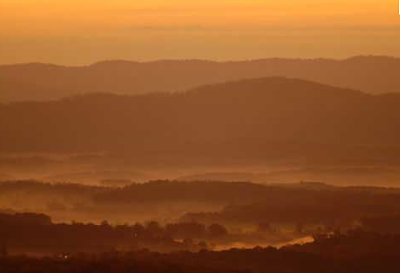 Charlottesville is nestled in the Shenandoah Mountains and is surrounded by diverse hiking trails. 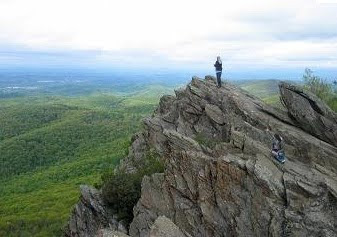 Almost every student will hike to Humpback Rock during their time at the University, and many will have the opportunity to explore mountains like Old Rag, Cold Mountain, and Crabtree Falls. UVa has three primary athletic facilities. The Aquatic and Fitness Center is its premier facility and the equipment is state of the art. Gym membership is included in students' tuitions and going to the gym, at least in my experience, is a regular part of student life. 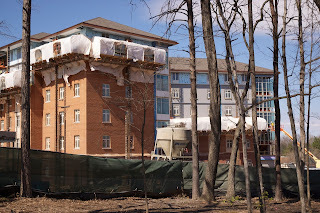 The Aquatic and Fitness Center is known for its Olympic sized pool and the Olympic sized hot tub. Group Exercise classes are offered for a small fee and many students take advantage of them during their time at the University. Class range from Zumba, to Cycle, to Kickboxing...you name it, we have it. Every Friday evening the AFC offers a Happy Hour class which is free for students to attend. Although fantastic yoga classes are offered at the AFC, a number of private yoga studios exist in the Charlottesville community. As a first year, I frequented Bikram Yoga Charlottesville, detoxifying while practicing yoga in its 110 degree heated room. It's just a free trolley ride away. I recently attended an off grounds Ashtanga studio and I was really impressed. If you're looking to detox and destress, come practice yoga in Charlottesville. The cycling population is active in Charlottesville, especially on the weekends. The town is surrounded by hundreds of miles of quality roads for bikers to get their fill. UVa also has a club team for students who want to cycle in a more competitive setting. If recreational biking is more your thing, you are not alone. Tons of students bike to and from class (although it's definitely not necessary). 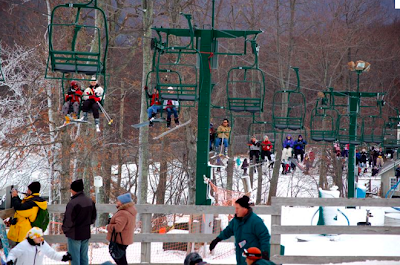 Wintergreen Ski Resort is only minutes away from the University for all you skiers out there. I'll be honest, the runs are nothing like what you might find in Colorado, Utah, or Vermont, but for Virginia, it's not bad at all. It's pretty neat to go to a school where you can visit the beach in the morning and ski in the evening. If you want to ski in a competitive setting, the Virginia Ski and Snowboard Team will take you in. It's one of our largest clubs. I've talked about eating on previous posts, but just to reiterate, there are plenty of healthy food options for students. 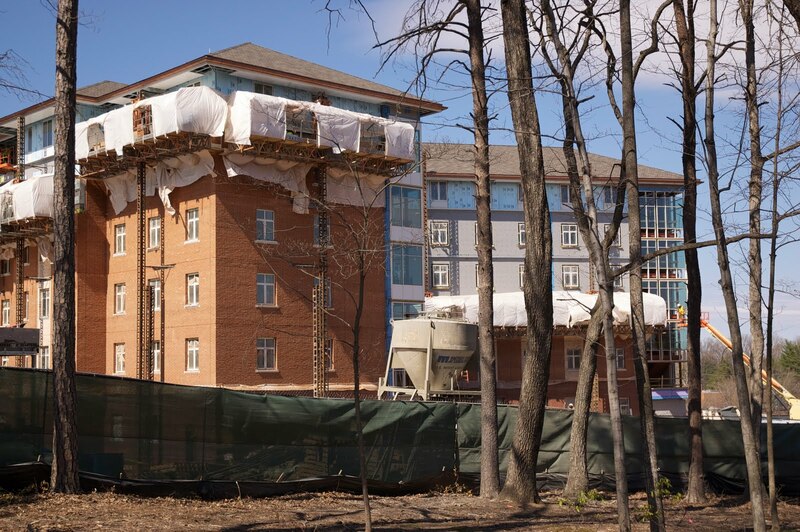 On grounds and off grounds, students' nutritional needs can be satisfied. Like I said before, living in a town like Charlottesville has introduced me to a lifestyle I love. My life will be forever shaped by the athletic opportunities I've had as a student. Where I live, what I do professionally, what I eat, and how I spend my time will be a product of my experiences at the University. 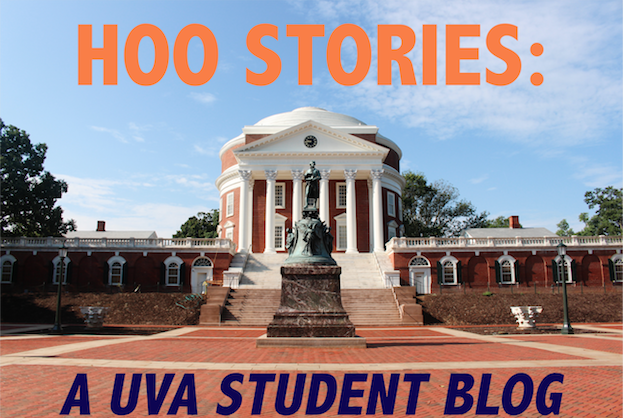 What's the Average Day Like for a UVA student? I'll take you through my day today, a fairly typical day for 2nd year such as myself. Luckily, I didn't have to start my day until my 11:00 linguistics class, Black English. This class is one I always look forward to attending - the professor, Mark Elson, is excellent and the material is incredibly interesting. An hour later, I headed to the Lawn to take part in an activity called Bike to Uganda - a fundraiser put on by Building Tomorrow, an organization which helps to raise money for building primary schools for Ugandan children. You sign up for 30 minute timeslots, and bike as far as you can - with the eventual goal that over the week, you will have biked the distance from UVA to Uganda. After my half hour timeslot, I killed some time by taking care of bills and such for my apartment - I chose to live off grounds my second year, so I take charge of the bills for me and my three roommates. 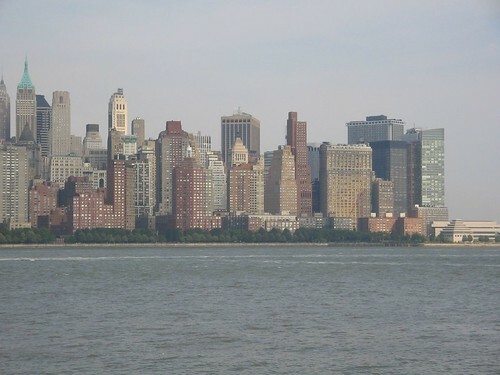 Afterwards, I headed to my 1:00 class, an anthropology class called Narrative and Social Life. I'm new to anthropology, but I decided to take the class after one of my friends mentioned that she was taking it. 50 minutes later, I headed home. Lots of reading for homework today - as typically is the case for college students, especially those in the College of Arts & Sciences. After two chapters of macroeconomics, I began to study for my Research Methods and Data Analysis psychology class. After feeling sufficiently well-prepared, I made dinner (Spaghetti - a staple of any college students' diet) and then got ready to go to a 7:00 information session about Days on the Lawn. 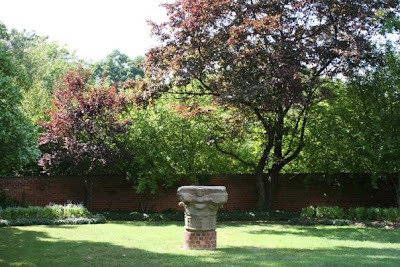 Days on the Lawn is a program run by UVA students, for prospective students - it offers an opportunity for prospective students to come and visit grounds now that admissions decisions have been released. By that time it was 8:00, and it was time for a break - so I headed to my fraternity house to hang out with a couple of my pledge brothers. Being in a fraternity has been one of the most rewarding experiences I've had at UVA, and I try to make the most out of it whenever I can. After hanging out for a while, it was time to head back home to do online homework (called Webassign) for my Calc II class - definitely not one of my favorites. After struggling through double integrals and probability for two hours, it was time to call it a night. 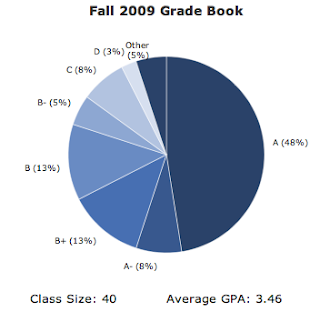 All in all, most days are fairly busy for UVA students, with a good balance between academics and extracurriculars. P.S. 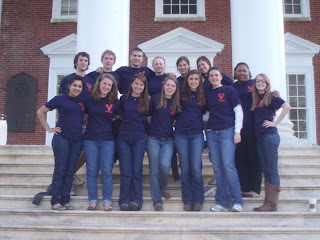 Now that admissions decisions have been released, I hope you all decide to come to UVA. It's an absolutely amazing place, and if you're considering it you should definitely come to Days on the Lawn to check it out.